Two weeks ago, I told you about the new feature for customizing the VPS conflict management that was developed as a result to a frequently posed partner request . Of course, also questions on other themes arise every now and then and ones that reach us quite frequently concern the filter functionalities. Since this complex issue would go beyond the size of one post, I decided to split it into a series dealing with the different kinds of filters in the Visual Production Scheduler, and when and how to use them. Individual filters are additional, important functions of graphic planning boards to provide planners with a zooming option to be able to focus on certain sections of their planning, thus easing their planning decisions. 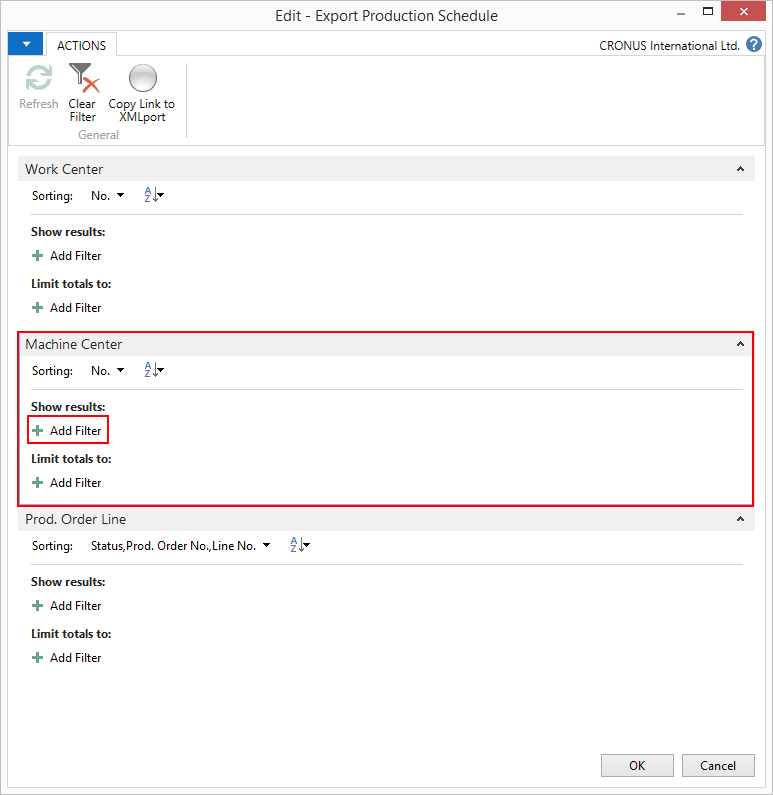 The Visual Production Scheduler offers two kinds of filters, their difference being the time of application, which, of course, leads to different results. Find below a desription of the Data Filter. The settings of the Data Filter are evaluated on starting the VPS so that only the filtered data of NAV are passed to the VPS. By reducing the amount of data being loaded, the loading process gets sped up. The planner can directly view parts of the plan that are currently important to him. For instance, a planner is responsible only for one certain machine group and therefore does not need to view other groups. So he could set the Data Filter in a way that only this particular machine group is shown right from the beginning. Click the "Configure Filter" button in the "Setup" dialog. 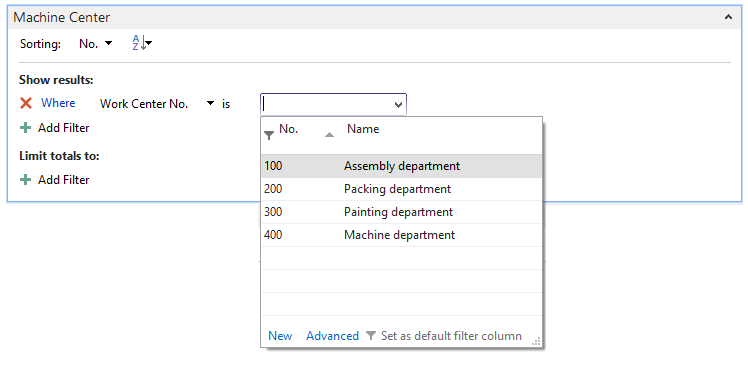 Confirm your changes and your new filter appears in the "Data Filters" as "Machine Center" Filter. From now on, the VPS will be loaded only with data matching this filter. Please note: Though the other work centers are still displayed in the table, they can't be expanded and no relating bars will appear in the diagram area. The planner can focus on the planning area that is important to him. 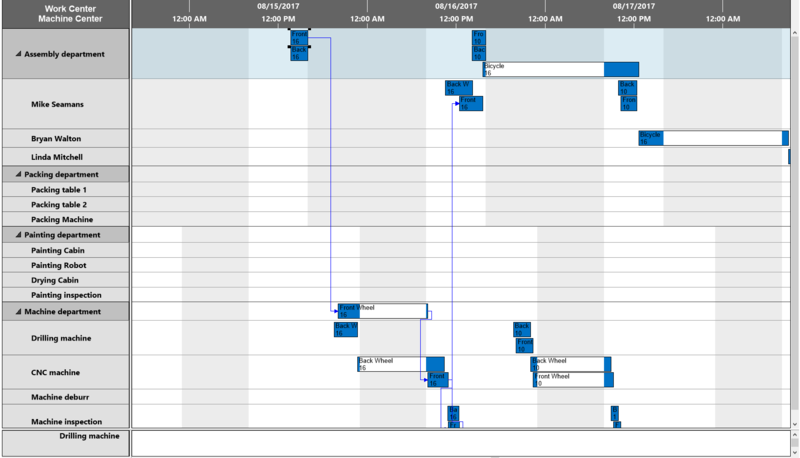 Filter options in the graphical planning boards enable the planner to concentrate his decisions on specific parts of his area of responsibility without losing collective coherence. By reducing the amount of data to be loaded into the VPS, the Data Filter speeds up this process significantly. In my next post of this series I will explain the "View Filter" which is applied to data having already been loaded into the VPS, i.e. on viewing them. 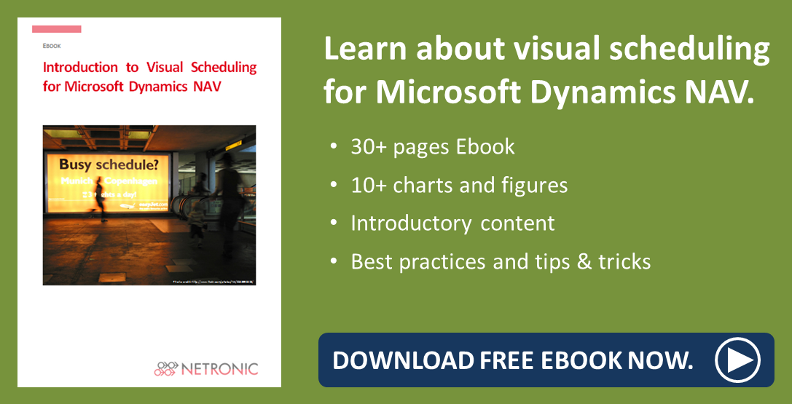 Watch our webinar about production planning with NAV with the Visual Production Scheduler.